With the unexpectedly ironic catch phrase there is no single truth, Shimano recently launched a “Drivetrain Advice” page to help consumers decide whether a 1X or 2X drivetrain would be the best choice for their mountain biking. The site has a “facts” page that posits the respective advantages in a few bullet points and charts. Oddly the charts are rife with mathematical errors. In the chart above, the key problem with Shimano’s information is that whoever created the chart sloppily rounded off ratios, thus creating errors in later derived figures. This is obviously seen in the total range calculation in which Shimano’s chart appears to show the % range of the same cassette varying when paired with different chainrings, which is fundamentally impossible. 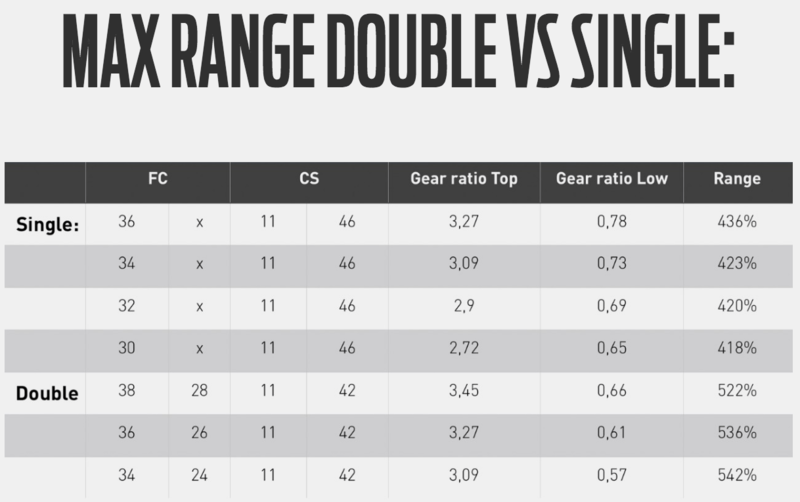 Below is a chart with the corrected values, plus the addition of SRAM 1X drivetrain options so that readers may have a full perspective of what current drivetrain systems offer for mountain bikes. Perhaps it should be noted that there are a number of boutique cassettes in the aftermarket that may give slightly different gearing options. 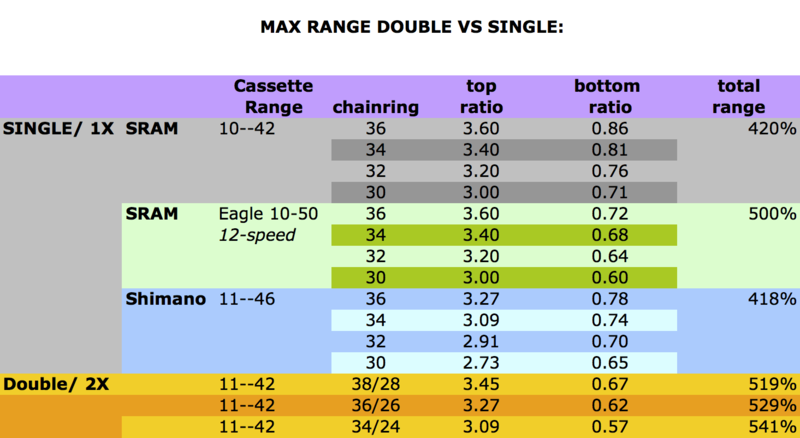 Note that in the chart, SRAM’s 10-50 cassette is 12-speed. 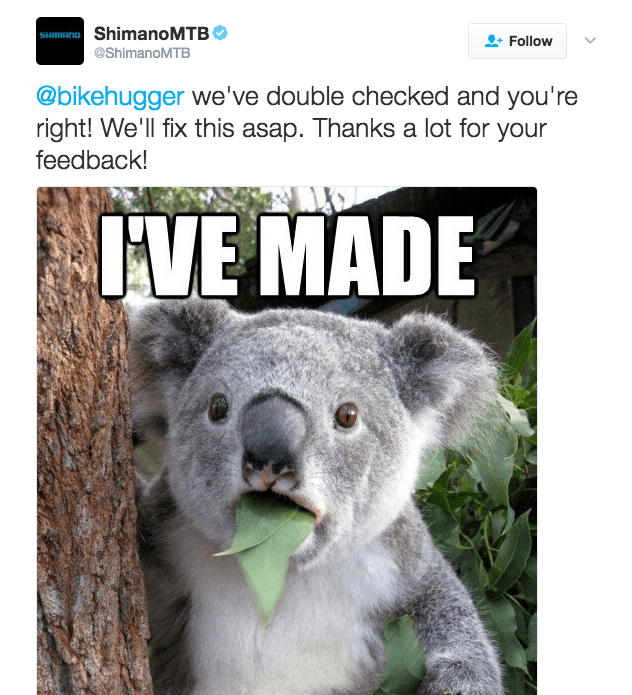 Hey, Shimano responded to our tweet!